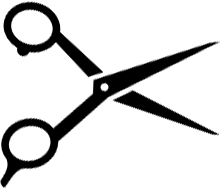 Situated in St Leonards-on-Sea, Clippers Hair Salon has been operating in East Sussex for more than 25 years. During this time, our high-quality services and personal customer service has helped us to develop a large, loyal client base, which includes men, women, children, and OAPs. Our salon has a very relaxed, easy-going atmosphere, and each customer is made to feel at home by our staff. Not only friendly and professional, our hairdressers are fully qualified and accredited and have more than 30 years of industry experience. This allows them to provide entirely bespoke services that ensure each client receives the cut, colour, style, or extensions that they desire. Contact us now, in St Leonards-on-Sea, East Sussex, for further details about the services provided at our hair salon.  01424 317749 |  info@clippershairsalon.co.uk |  Business Hours: Monday – Saturday, 8:45 a.m.-5:30 p.m.
Clippers Hair Salon |  17 Sedlescombe Road North, St Leonards-on-Sea, East Sussex TN37 7DA |  01424 317749 |  info@clippershairsalon.co.uk |  Business Hours: Monday – Saturday, 8:45 a.m.-5:30 p.m.